Tesla is under fire for the recent crash of their Model X SUV, and the subsequent fatality of the driver. It’s been confirmed that the vehicle was in Autopilot mode when the accident occurred. 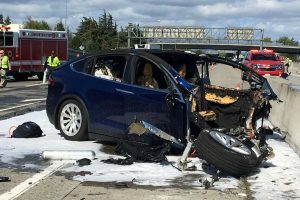 Both Tesla and the NTSB are investigating the particulars of this crash. PHOTO: PUBLISHED CREDIT: KTVU FOX 2/REUTERS. I’ve read many of the comments about this crash, in addition to previous crash reports. It’s amazing how much emotion is poured into these comments. I’ve been trying to understand the human performance issues related to these crashes, and I find I must take special note of the human emotions that are attached to these discussions. As an example, let’s say that I develop a “Safety Widget™” that is attached to all of your power tools. This widget raises the cost of your power tools by 15%, and it can be shown that this option reduces tool-related accidents on construction sites by 40%. That means, on your construction site, if you have 100 incidents each year, you would now only have 60 incidents if you purchase my Safety Widget™. Would you consider this to be a successful purchase? I think most people would be pretty happy to see their accident rates reduced by 40%! Now, what happens when you have an incident while using the Safety Widget™? Would you stop using the Safety Widget™ the first time it did NOT stop an injury? I think we’d still be pretty happy that we would prevent 40 incidents at our site each year. Would you still be trying to reduce the other 60 incidents each year? Of course. However, I think we’d keep right on using the Safety Widget™, and continue looking for additional safeguards to put in place, while trying to improve the design of the original Safety Widget™. This line of thinking does NOT seem to be true for autonomous vehicles. For some reason, many people seem to be expecting that these systems must be perfect before we are allowed to deploy them. Independent reviews (NOT by Tesla) have shown that, on a per driver-mile basis, Autopilot systems reduce accidents by 40% over normal driver accident rates. In the U.S., we experience about 30,000 fatalities each year due to driver error. Shouldn’t we be happy that, if everyone had an autonomous vehicle, we would be saving 12,000 lives every year? The answer to that, you would think, would be a resounding “YES!” But there seems to be a much more emotional content to the answer than straight scientific data would suggest. Over- and under-trust in technology: I was talking to one of our human factors experts, and he mentioned this phenomena. Some people under-trust technology in general and, therefore, will find reasons not to use it, even when proven to work. 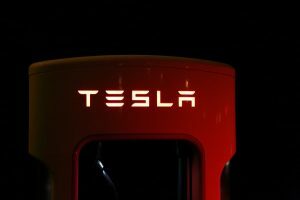 Others will over-trust the technology, as evidenced by the Tesla drivers who are watching movies, or not responding to system warnings to maintain manual control of the vehicle. “I’m better than other drivers. Everyone else is a bad drive; while they may need assistance, I drive better than any autonomous gadget.” I’ve heard this a lot. I’m a great driver; everyone else is terrible. It’s a proven fact that most people have an inflated opinion of their own capabilities compared to the “average” person.” If you were to believe most people, each individual (when asked) is better than average. This would make it REALLY difficult to calculate an average, wouldn’t it? It’s difficult to calculate the unseen successes. How many incidents were avoided by the system? It’s hard to see the positives, but VERY easy to see the negatives. Money. Obviously, there will be some people put out of work as autonomous vehicles become more prevalent. Long-haul truckers will be replaced by autopilot systems. Cab drivers, delivery vehicle drivers, Uber drivers, and train engineers are all worried about their jobs, so they are more likely to latch onto any negative that would help them maintain their relevancy. Sometimes this is done subconsciously, and sometimes it is a conscious decision. Of course, we DO have to monitor and control how these systems are rolled out. We can’t have companies roll out inferior systems that can cause harm due to negligence and improper testing. That is one of the main purposes of regulation and oversight. However, how safe is “safe enough?” Can we use a system that isn’t perfect, but still better than the status quo? Seat belts don’t save everyone, and in some (rare) cases, they can make a crash worse (think of Dale Earnhardt, or a crash into a lake with a stuck seat belt). Yet, we still use seat belts. Numerous lives are saved every year by restraint systems, even though they aren’t perfect. How “safe” must an autonomous system be in order to be accepted as a viable safety device? Are we there yet? What do you think?